2. 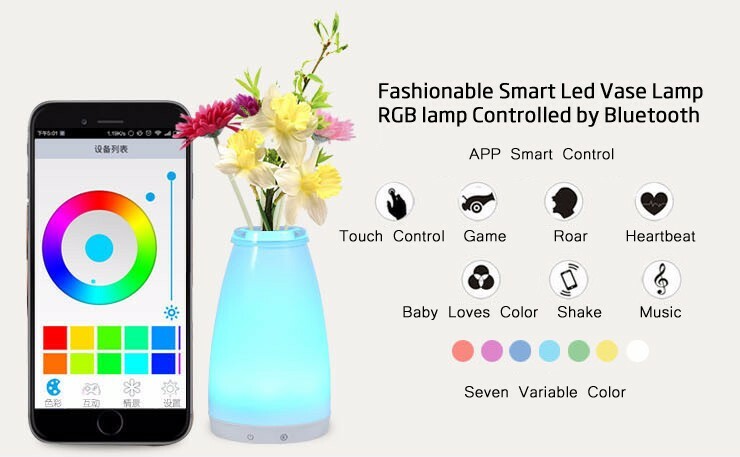 RGB remote control: with wifi or bluetooth control, convinient to operate. 4. Delicacy and beautiful shape, suit for home decoration and lighting, it can place at diningroom, livingroom, bedroom and table. 5. Design consept: to creat a warm harmonious and relaxing romantic living surroundings. 6. Exquisite workmanship: it is hand blow. 7. Wires and sockets are not required. 9. Reception desk, balcony, pathways and wherever you need, inside or outside.